From meeting in college, to moving to another state to begin their careers, to recently returning to Michigan, these two have done it all together. Side by side. After dating for over 10 years, and engaged for the past two, Tom and Meghan decided it was about time for them to make it official. Surrounded by their immediate family, they said their vows at the alter of a beautiful chapel on a chilly, Michigan Fall evening. Every part of the evening was full of heartfelt joy, and I could not have been more honored to be a small part of it. Meghan was absolutely stunning, full of beauty, grace and joy. It was the first chilly Fall day of the year, as Taylor and her bridesmaids spent the morning at her and her fiance's future home. Furniture moved in, wedding to-do lists scattered about, and a joy that filled the air, knowing she would soon get to share this home with her husband. She could hardly wait. Taylor and Patrick said "I Do" in front of many loved ones, at the alter of St.Thomas Apostle Catholic Church, where he had gotten down on one knee many months prior. It was a day they had planned and planned for, down to every last detail. From dozens of desserts, pictures of their parents weddings at the welcome table, a blue note stitched into the inside of her dress for Patrick, the thank you notes placed at each table for their guests, and warm apple cider at the bar. Lots of love + lots of leaves + everything Fall = one perfect wedding day. Congratulations, Kellys! Cheers to an amazing beginning! There are so many wonderful adventures ahead of you! A mother and her daughter provide us the sweetest moments on wedding days. This is one stunning couple. Taylor is a horse rider, so her parents surprised her with a horse and carriage after their ceremony. Taylor's father handmade this jacket for her mother for their wedding day, so watching Taylor wear it on her chilly wedding day in October brought a few sweet tears. I can't help but end with this, Taylor's beautiful smile that was plastered on her face her entire day. Such Joy! Josh and Kelli are one of those couples that it is impossible not to love. Josh is a character, full of personality and humor. Kelli grounds him, with her sweet demeanor and caring heart. She gets him, and him her. The best man mentioned in his speech that Kelli and Josh just go together, that it's hard to imagine it any other way. Over the past twelve years, the have gone through high school, college, graduate schools, beginning jobs and purchasing a home, and they did it side by side. It was such an honor to document their big day as they start the next biggest chapter of their lives, side by side. Their ceremony took place across from the street from Michigan's capital building. Couldn't ask for a better backdrop! Kelli and Josh are MSU alums and HUGE fans, so naturally, we ventured to campus for some photos. All of which wouldn't be complete without a jumping photo in from of the stadium. A perfect Fall day in East Lansing! 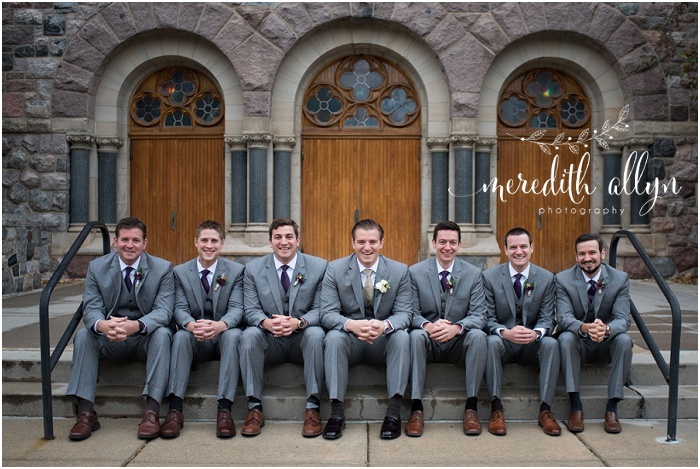 Here's a sneak peek of Kelly and Josh's gorgeous wedding day! Since Mike and Lynn live in Seattle, so between our initial meeting and their wedding date, it was difficult to squeeze in an engagement session. Instead, they opted for a "trash-the-dress"/ "day-after" session with just the two of them. The following evening after their wedding, they put their wedding attire back on in a more relaxed fashion, and we did some wilderness exploring. Lynn also brought along her "going out" dress that they used after the reception doors closed. I just love that she had no reservations about getting a little wet or falling into the water! Mike and Lynn chose to see one another prior to the ceremony...and that smile on Mike's face never faded. I can't get enough of Lynn's dress- so perfectly elegant! You would never know that it was 90 degrees outside with 100% humidity. We spent our time before the ceremony taking pictures at the Law Quad, taking breaks in shade and dodging the students moving into their dorms. All worth it for this picturesque location. The Michigan Union provided a perfect backdrop for a night full of dancing, delicious food and even better desserts! We ducked out of dinner for a few quick moments, and the light spoiled us! Absolutely loved spending the day with you two! Cheers to great, great things ahead! 90 degrees and 100% humidity in September?!! Didn't matter. Nothing could spoil this couple's day. Here's a sneak peek from their Labor Day weekend wedding!